On competition’s last morning, we focused on finishing the implementation of neighbors behavior when they are woken up by the thief as well as thief’s looting abilities. We also finished the game over screen. 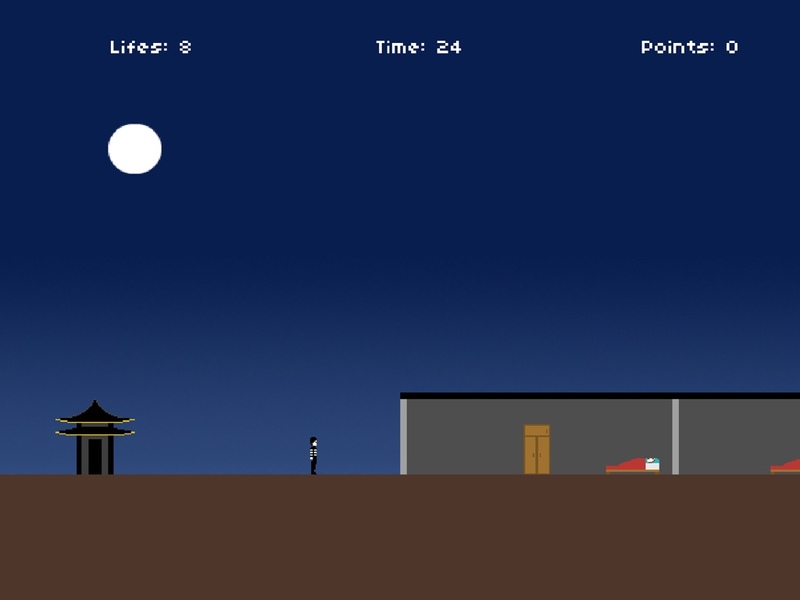 On the afternoon we started working on the thief, neighbors, bed and closet sprites. At the end of the day we created the background texture and the start screen, where players can find instructions on how to play the game. Then we submitted the game. The nice thing about Ludum Dare is all participants have a chance to try and judge each other’s games. So you are not only learning from the development process but also when you are trying and judging other’s games. We’re really happy for taking part in this competition. Looking forward the next edition on April, 2013. Haxe + HaxePunk + NME combination is superb for developing multi-platform games. This is an alternative to Phonegap that you can use to generate binaries for the most popular desktop and mobile platforms by using the same codebase for all of them. Developing a simple but clear idea is really important in order to finish a game in such amount of time. Creating a checklist with all features the game will have makes the development process more organized and pleasant. It is a good idea to clean up the codebase from time to time. At first glance it seems to be a pretty useless task but it is not. Creating videogames is not that complicated as it seemed at the begining and you don’t need a ton of money to do it :).